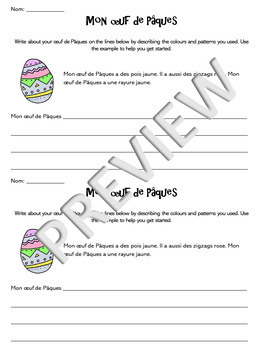 This fun Easter activity is the perfect way for your Primary Immersion and Junior Core French students to practice some basic adjective vocabulary. 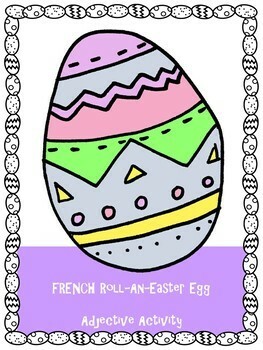 Students will roll a die to determine what patterns and colours to include on their Easter Egg. 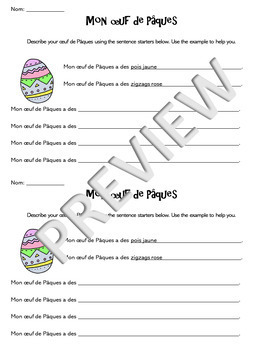 After they decorate their egg they can practice their writing by describing it. - 2 different writing options for students - one version with sentence starters and one version without. 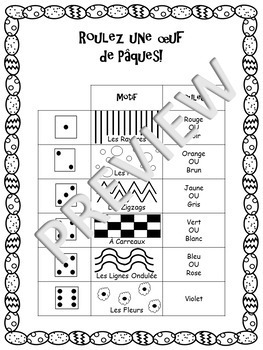 Both versions include a sample description to help students get started.